We provide one of the best services for MOT tests at our Garage in Bayford. 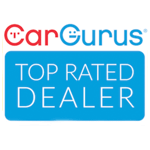 By using highly experienced staff and equipment you can be assured your car is in good hands to be inspected. Contact us on 01992 273463 for more information on availability. Xclusive Xports have fully qualified and experienced staff that can supply and fit brakes for all makes and models at competitive prices. It is essential for your car to have the brakes in their full working order this can range from disc brakes, disc pads, brake callipers and brake pipes. If your car is exhibiting any of these signs, don't hesitate to Xclusive Xports Service Team as soon as possible to prevent further damage and cost to your pocket. At Xclusive Xports we can cure most types of diagnostics on your car. All cars are now fitted with computers and a myriad of technology to run and monitor the internal workings of the vehicle. One of the most important functions these computers provide is ensuring your car is operating within the manufacturer's parameters; the engine, safety systems (ABS, Anti-Slip etc. etc.) are all operating correctly and safely. Most people usually only become aware of the functions of these computers when one of the fault warning indicators illuminates on the dashboard. 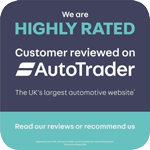 Looking to buy tyres for your car? Xclusive Xports can get you driving safe and legal on the road. Look for cuts, cracks and bulges, or any other evidence of damage, from violent impact or kerbing, or excessive wear inner/outer of the tyre or middle of tread. Damaged tyres may be illegal and can be dangerous. For peace of mind, call into Xclusive Xports for some friendly expert advice and ask for your free tyre check. 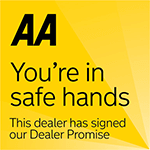 would use this dealer again, very easy, honest and straight forward to deal with. Part-exchanged my car and everything was done quickly and smoothly.